Davidoff Primeros Cigars - Buy Premium Cigars Online From 2 Guys Cigars . 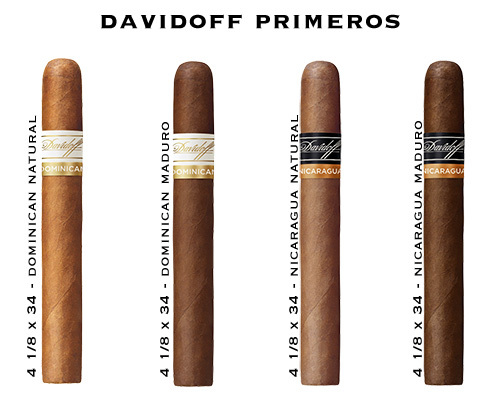 The Primeros by Davidoff in Petit Panetela format shares the exclusive stimulation of the Davidoff line. This small cigar starts is availalable in 4 variations. Davidoff Natural, Maduro, Nicaraguan Natural, Nicaraguan Maduro. The Primeros allows you to enjoy lifes simplest pleasures when you are pressed for time.